On Tuesday 27th November I went along to the Get Your Gift On with St. Enoch Centre event and I have to say, it was one of their best yet! Christmas has well and truly came to St. Enoch Centre and I am LIVING for it. I adore this time of year so it's been really exciting to see what St. Enoch has on offer this year. There is a Santa Grotto, Reindeers and enough twinkling lights to put the milky-way to shame. If you've not already read my post on what's going on at St. Enoch centre for the little ones then you should totally do that (after you've read this post of course haha) You can find out how you can get your little ones in the festive spirit with St. Enoch. If you're anything like me, you'll be loving doing Christmas shopping in actual shops this year instead of online (not that online isn't handy because it really is!) 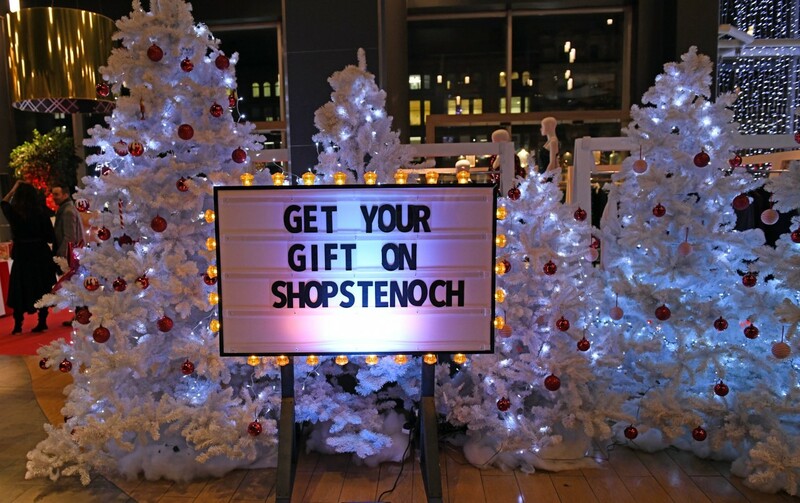 but sometimes you just need to get out and brows the shops to see what's on offer and you will definitely get a fabulous Christmas experience at St. Enoch centre with over 90 different retailers under one roof, there is the perfect gift for EVERYONE! wither you are buying for your husband, wife, girlfriend, child, cousin, you name it and you'll find it at St. Enoch. Not only will you be able to find the perfect gift, you will also find the perfect party outfit to keep you rocking it this December with so many stunning outfits and accessories. I got to have a look at the top styles on offer from a range of store and I have to say, I am totally IN LOVE, I can really get behind the black outfits as it speaks to my soul, there are some absolutely stunning picks from Nine by Savannah Miller which is available at Debenhams, there is a lovely little cropped leather jacket that has my eyes making heart shapes. Although I am a huge fan of black, you can't go wrong with a little sparkle through your outfits to make it really pop and you will find a hint of glitter in the clothes courtesy of toyshop. There are a variety of luxurious textures and plush fabrics on offer this year such as velvet, satin, lace and more. If the all black outfit isn't your cup of tea, there is a pallet of rich colours this season to help brighten you up, my personal favourite colours from the night has to be the forest greens that were on display. I also fell in love with a red leopard print style long skirt from Quiz that has went onto my Christmas wish list, I just HAVE to have it, it's simply stunning. I have got to say, all the clothes that were there that night were beautiful, you could see that there was a style for everyone, for every age and I liked the fact the rage was so inspiring, I came away with outfit ideas I would never have thought of other wise. I also spotted some amazing outfits for the little ones which had me gushing "awwwwws" every time I looked at a new piece. The dresses for the little ones were stunning, absolutely out of the world and it had me feeling all kinds of broody haha. I also spotted some trousers with braces for the little ones and I have made a mental note because I need to get them for Little bear, he will look so fancy and spruced up. 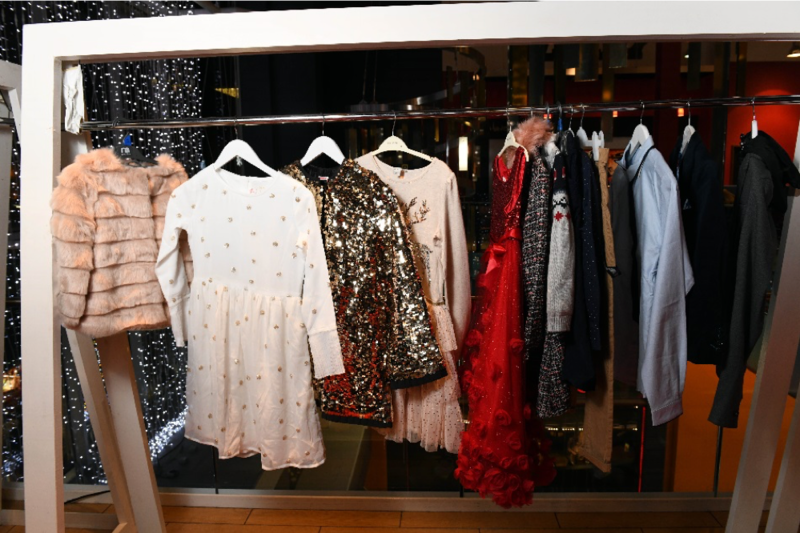 The clothes for the little ones are stunning so if you need some clothes this party season for your bundle of joy, head on down to St. Enoch centre and feast your eyes on all they have to offer. Not only is St. Enoch Centre keeping you glam and Stylish this season, you can find a whole array of gifts on offer from all of their stores. With so many different retailers to choose from, you won't be stuck for gift ideas. I personally always love the range from Debenhams, they always push the boat out every year and this year is no exception. With plenty of make up counters that will have any beauty lover swooning and gifts galore all under one roof, you won't be able to resit picking up those special items for those in your life who are on Santas nice list this year. I really can't recommend St. enoch enough for all of your shopping needs this year, I have planned a trip next week to get the last of my Christmas items in and I will be going to St. Enoch centre to help me get my shopping list under control. There is the Disney store for the little ones along with Hamleys who will have snow every day in December and they will also be hosting their annual meet Father Christmas event where children can meet Father Christmas and his elves, it's a great event for children to join in with, it will truly be a magical day filled with fun, laughter, cheer and festivities. This event is on every day from the 24th November and can be booked online at www.hamleys.com so be sure to book fast to avoid disappointment. For the bigger kids in your life there are plenty of shops for you to brows and find some awesome presents like boots, Hotel Chocolat, Kimbles, Game, H&M and many, many more! Just head on over to st-enoch.com/stores to see what shops they have to offer you. 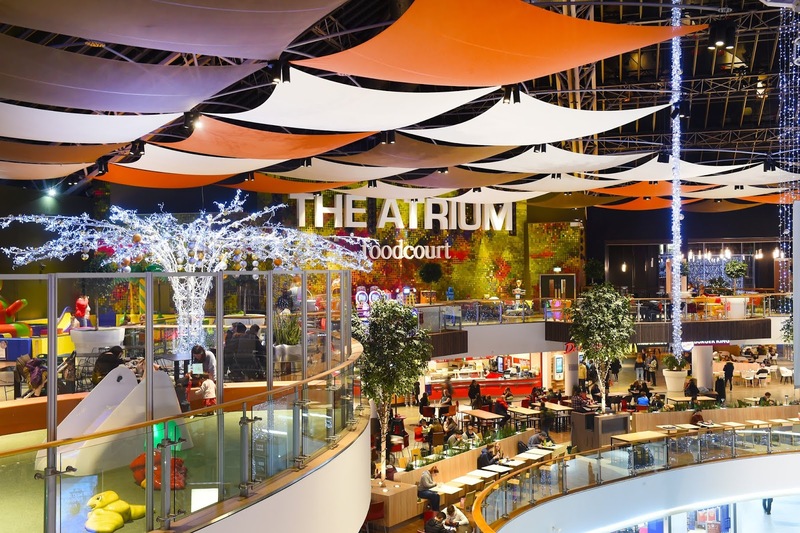 And after all your shopping you will be able to grab a bite to eat at they Atrium which has places such as Pizza Hut, Burger King and more so you will be bale to find a place to grab a bite and refuel you before you hit the shops again. So remember, to help keep you in the festive spirit this year and to block out the noise of those pesky rude shoppers, head on down to St. Enoch Centre where you will forget about all your troubles and have an amazing experience getting on top of your Christmas list. Oooh this place sounds so festive and amazing! I also love to actually head out to the shops when doing my Christmas shopping. While it's usually chaotic & hectic, there's still a bit of magic in the air, and I love it!